The range of possible applications for the recommendation engine of Recosphere are very versatile! Products that can be recommended based on human character traits, interests and/or behaviours are perfect for the recommendation scheme. These includes products like gifts, books, glasses and of course every kind of product that is distributed through online channels. 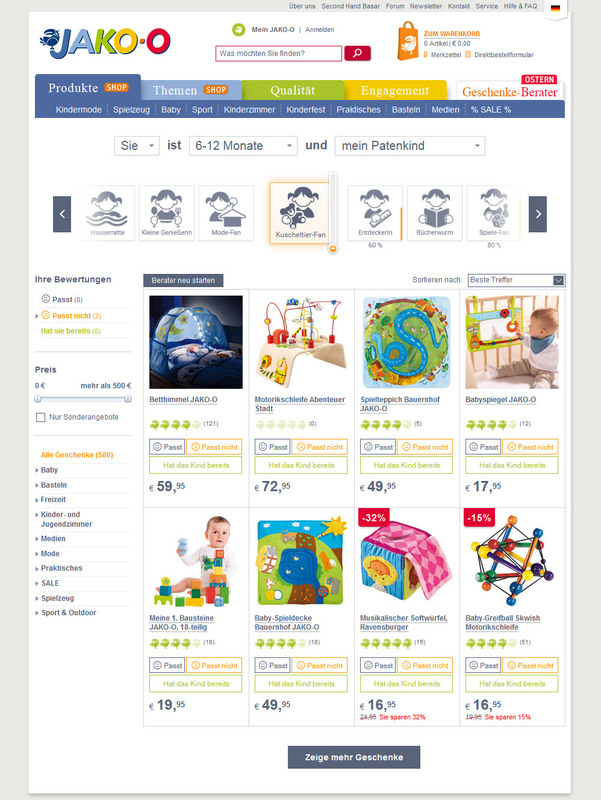 On christmas 2014 Jako-O startet it’s recommendation engine from Recosphere live in their online shop. 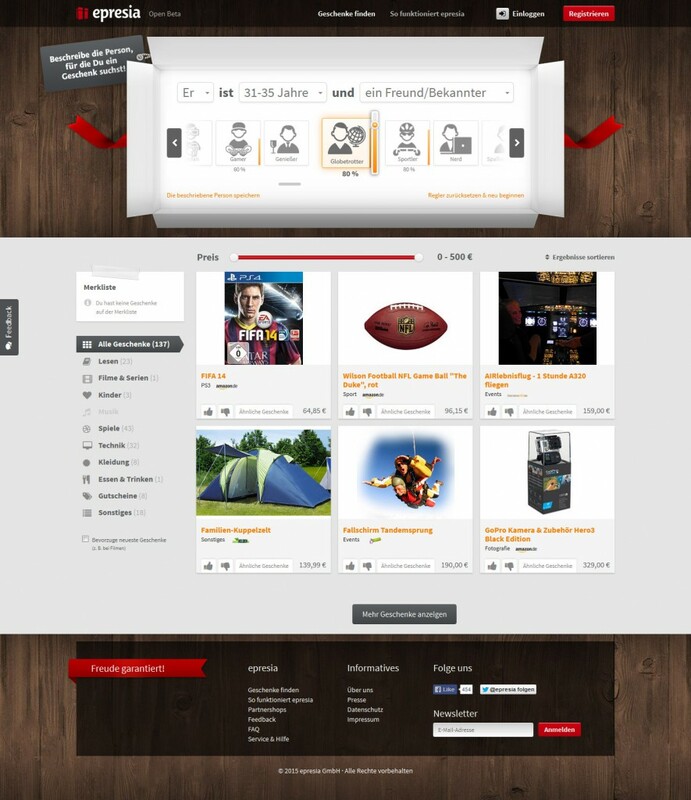 On christmas 2013 epresia started as a B2C platform, aiming at recommending users the perfect present. Based on an immersive gamified interface experience, users describe a person to get gift recommendations from over 80 partner shops. Recosphere calculates these recommendations in just milliseconds, based on its given individual user preferences, while constantly learning from user feedback to improve the perceived quality. The results are significant: Above average conversion rates are ensuring the success of the project. The Recosphere engine acts like a perfectly trained salesperson: The system asks for personal and soft-skilled preferences in a playful manner and determines surprisingly accurate recommendations for new and exciting books in milliseconds. That provides a great shopping experience by adding a new unique user entry point to your e-commerce shop.